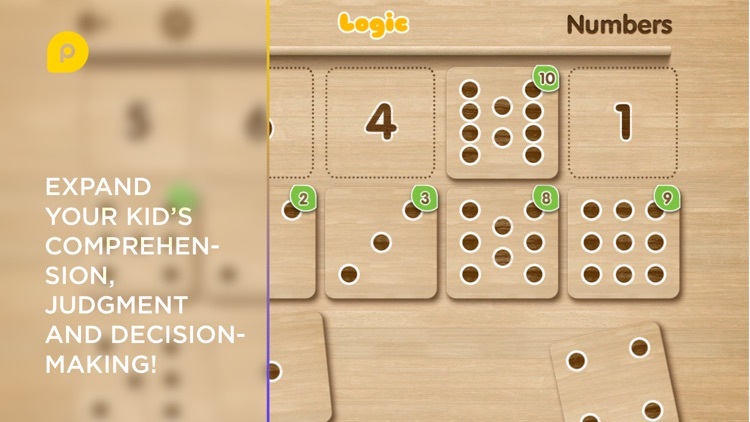 The game of Logic is a great educational and teaching tool for your child. 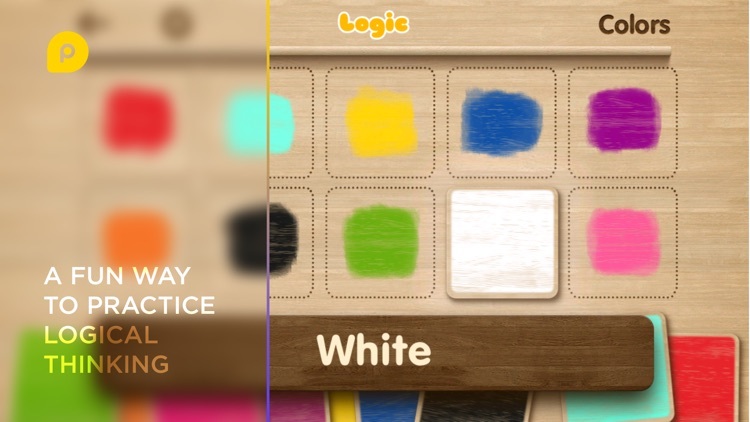 It helps to learn the basic of colors and shapes easily and it helps kids to find similar shapes (figures) and colors in a challenging and fun format. 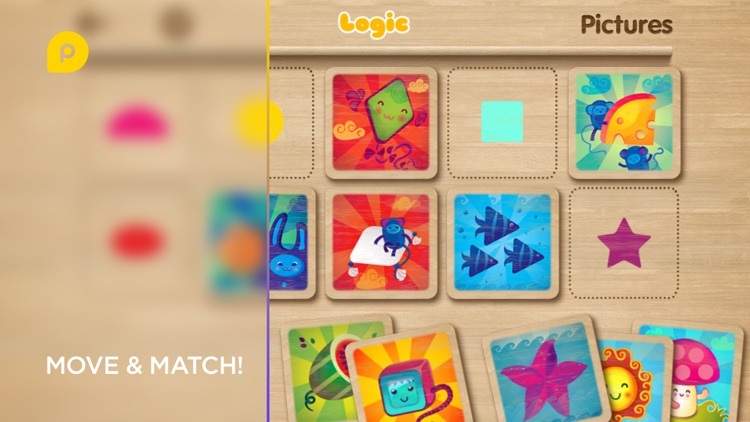 Logic is a 5-in-1 game of inter-related activities allowing you to help your child expand their comprehension, judgment and decision-making. 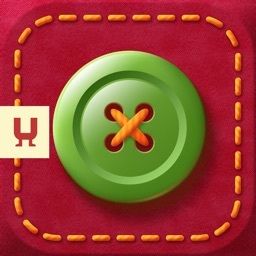 A very unique feature of Logic allows you to choose the language which the game uses by selecting the narration language. 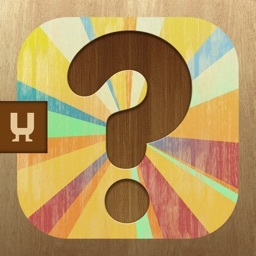 When you make a match within any game, Logic will pronounce the color, the shape (or both) or the number in the language you choose. Your child can learn spelling and words in different languages – English, Spanish, French, German, Dutch, Italian, Portuguese, Swedish, Arabic, Russian and Ukrainian. Dubbing is made by a native speaker of that language (not computer-generated) all words are pronounced very clearly and are very understandable. 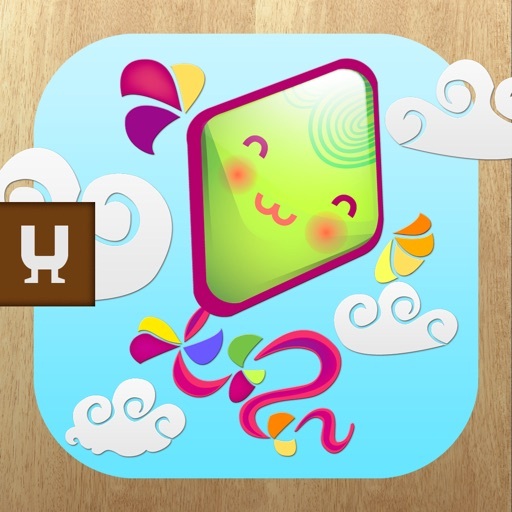 Initially the game will load in the default iPad language and after that you can change the language settings in the game so that your child can learn colors, shapes, pictures or numbers in another language. 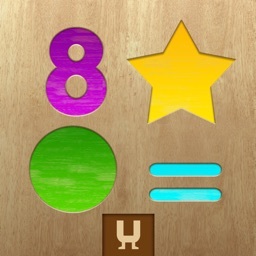 * 5 main games: Colors, Numbers, Letters, Pictures and Figures. 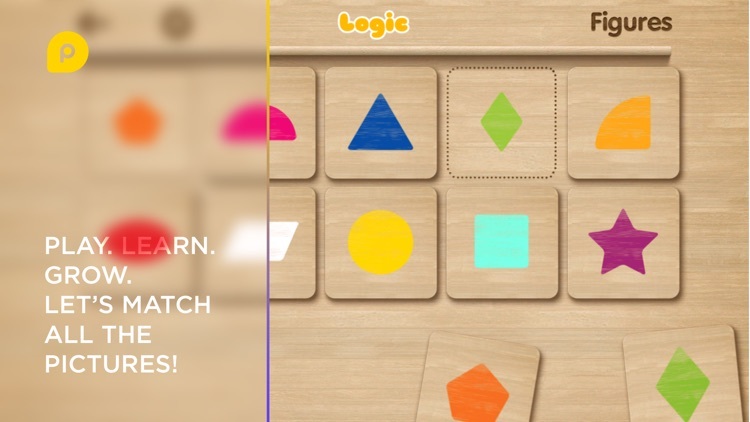 * Logic has 10 geometric forms which help your child to learn shapes. * All of Logic’s games have a high level of re-playability. Every time you open a game the position of the tiles is different, and it will be different from the last time it was played. This will make your child think while playing the game. * The game Pictures will test and expand your child's deductive capabilities. 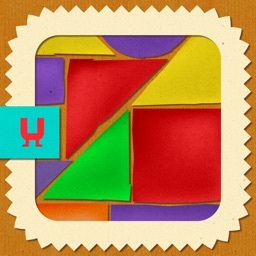 This game is based on colors and shapes, but the colors and shapes are not readily matched. Instead, the child will look at a tile with a picture on it, and figure out the shape it contains or the color it has in it, and then they will find the matching tile. Your child will find this challenging, but not difficult as it expands their analytic abilities. * You can regulate the volume of the music or sound in the game, or turn it off. 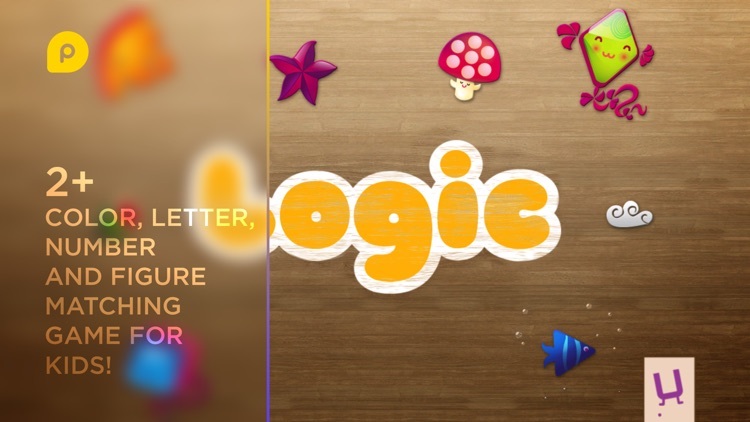 * Logic is socially aware: you can share the results of the game on Facebook or via email.